Probably not what the Canadian smartphone maker was hoping for, but there were one or two exceptions which caught our eye, one of which could well be a CDMA variant of RIM’s latest Porsche designed Berry’. We heard about the unique BlackBerry P’9981‘s launch event in Dubai last October and its subsequent release in other markets such as the UK a couple of months after that. 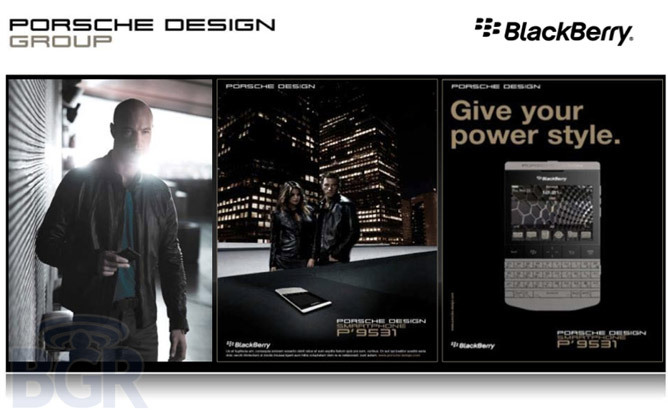 The keen-eyed amongst you might have spotted a device simply going by the name “Knight” on RIM’s 2012 roadmap and it is this device that is suspected to be the BlackBerry Porsche Design P’9531 (note the different number extension). 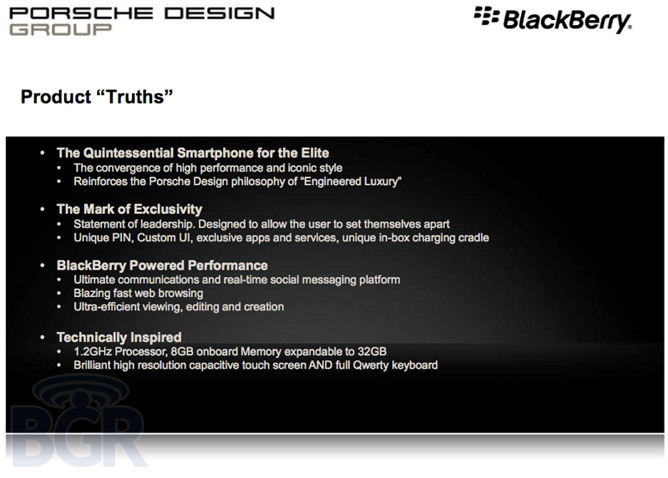 This new PorscheBerry’ will supposedly come specced out with the same 1.2GHz processor and an in-built 8GB of user memory, expandable up to 32GBs if desired. The CDMA radio capabilities will mean that now Porsche owners looking for a new accessory and Verizon customers after a piece of BlackBerry exotica can pick up this device, for the right price. The right price however is $2000, interested?